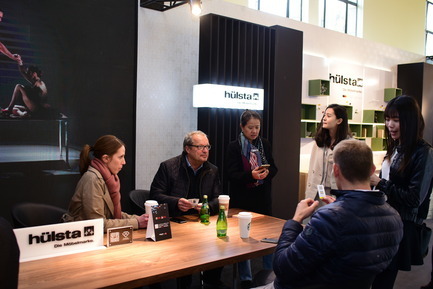 Design Shanghai, Asia’s leading international design event, opened its doors yesterday Wednesday 8th March 2017, and is expecting more than 50,000 visitors over the four days. Having successfully matured and earned its place alongside the most established design events in the world, Design Shanghai offers a unique, worldwide overview of the design scene, with more than 400 international and Chinese brands, galleries and designers participating. 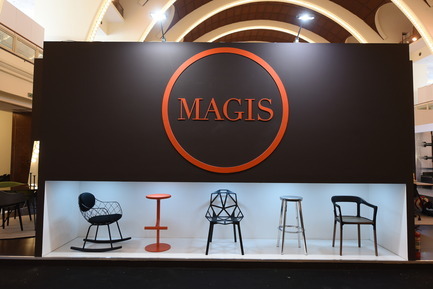 Top names within the global industry are presenting new designs and launching hundreds of new products at this year’s event, which returns to the historic Shanghai Exhibition Centre until Saturday 11th March, with more exhibition space and exciting new additions. For the first time this year, the Kitchen & Bathroom Design Hall and the Workplace Design Hall are presented alongside the Contemporary Design, Classic & Luxury Design and Collectible Design halls. 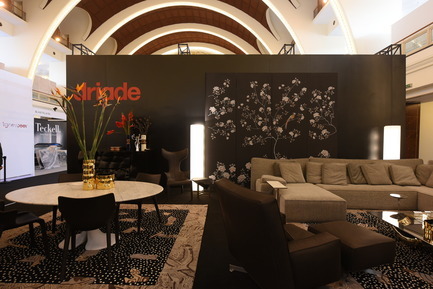 A new detached venue within the Shanghai Exhibition Centre is now entirely dedicated to bespoke design, creating a unique VIP experience for visitors. A major new initiative for the 2017 edition is the opening of Design Shanghai to the city, thanks to several offsite events organised in collaboration with its partners. As part of the Shanghai-wide celebration of creativity, Design Shanghai and Shanghai Xintiandi district have strengthened their partnership with the launch of Design Shanghai @ Xintiandi Design Festival, which opened on Monday 6th March and will run until Sunday 19th March 2017 in Shanghai Xintiandi. Curated by a team of high-profile designers, headed by Song Tao, Hou Zhengguang and Du Xinyue, as well as Hu Zeming, Tian mengran and Deng Min as joint curators, the Festival with the theme “In Future” will populate the streets of the district for 14 days with a remarkable selection of 18 interactive installations and spaces. These include L’Eden by Perrier Jouet, as well as works by international and Chinese designers and artists. The festival offers both the local community and visitors the opportunity to experience and rethink design, art and creativity in a new light. To enable visitors to experience Design Shanghai in the City, dedicated coaches will take visitors on tours from the Shanghai Exhibition Centre to Xintiandi every day from 1pm to 9pm until 11th March 2017. 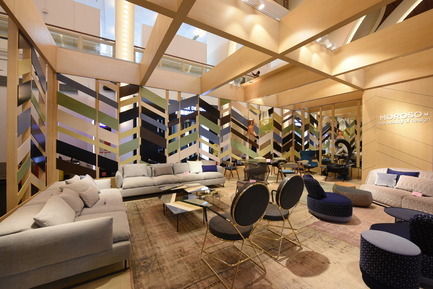 The tours stop at 10 participating showrooms, including Domus Aurea, HAY, Minotti and W+S. Design Shanghai offers professionals and the public an experience that goes beyond the pieces on display, to include unique collaborations and a varied programme of talks featuring world leaders in the fields of design and architecture. 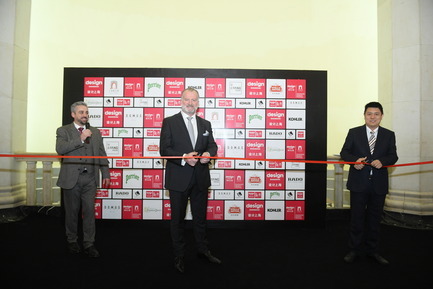 The event offers an ideal platform for business and for the exchange of expertise between world-renowned designers and architects, highly influential property developers, buyers, collectors, key decision makers and journalists. The Contemporary Design Hall features a remarkable selection of both eastern and western, high-end products, many of which have never been shown before. 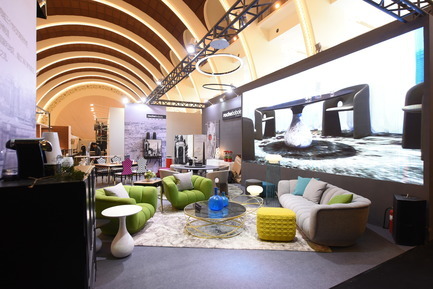 Participating brands include Boca Do Lobo, Zaha Hadid, Domus Tiandi, Thonet, House of Taiping, Magis, Moroso, Driade, HAY, Linge Roset, Seletti, Roche Bobois, Boss Design, Jan Kath, Hulster, caesarstone, bolon, JAB, Trimph, Duxiana, Oliver B, together with top local brands such as Beyond Object, Frank Chou Design Studio, ziinlife, WUU, ROOY, Benwu Edition, EY- Products, ALiTLE and Haostyle. 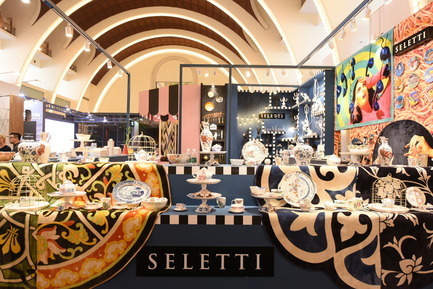 The Classic & Luxury Design Hall focuses on brands with distinctive design history and reference. 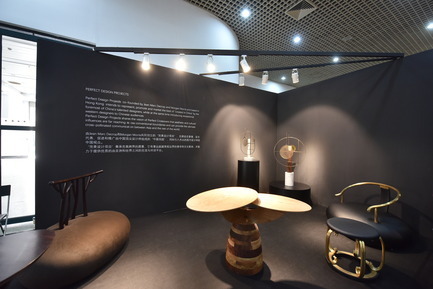 Domus Aurea, Ciac Export, Art Design Group, starliving, zanatto, George Smith, Cole & Son, Vismara Design, Malerba, Sunbrella, W+S and YANG HOUSE have all exclusively chosen Design Shanghai to present their products. The Kitchen & Bathroom Design Hall focuses on innovations across materials, equipment and effective space optimisation, featuring a number of brands such as Dyson, Antonio Lupi, Rational, Rossana, LEICHT, Fisher&Paykel, Dupont Corian and Grado, while the Workplace Design Hall gives visitors the opportunity to discover the latest solutions in office design, source new suppliers and network with relevant industry professionals. The participating brands include Royal Ahrend, Aritco, MATSU, POBO, Kinnarps, Nimbus, Kavdrat, Shaw Contract. 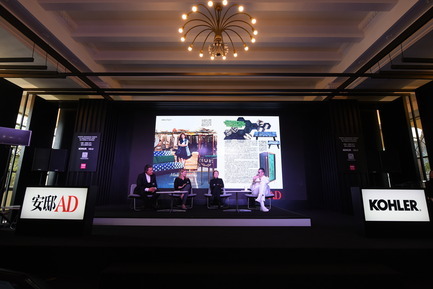 “Returning as Creative Directors, we are proud to see Design Shanghai evolving so rapidly and becoming a Shanghai-wide celebration of the design sector and creative industries. The Collectible Design Hall, curated by Morgan Morris in collaboration with DB Kim, Special Project Manager, showcases limited edition pieces from some of the greatest design galleries and brands from across the globe. This new hall enhances the visitor experience and showcases only the highest level of global artistry and design, presenting extraordinary one-off masterpieces. 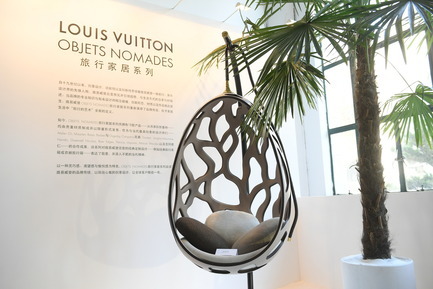 Exhibitors include Louis Vuitton, Galerie Dumonteil, Zaha Hadid Designs, Studio MVW, Brand van Egmond, Eglidesign, Bernardaud and influential art dealer Frank Partridge. 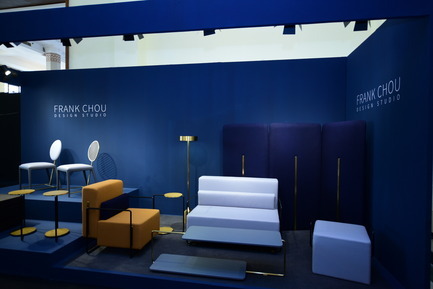 “With the Collectible Design Hall, which features some of the world’s most celebrated galleries ad brands exhibiting one-off and limited edition design pieces, Design Shanghai has created the perfect location for local and international design influencers to connect. 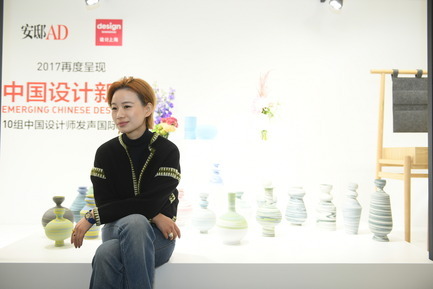 “This year’s success confirms a mutual understanding between Design Shanghai and its audiences: the interest in collectible design in China is growing and our commitment to providing a platform to showcase the best of Chinese and international design is stronger than ever”. 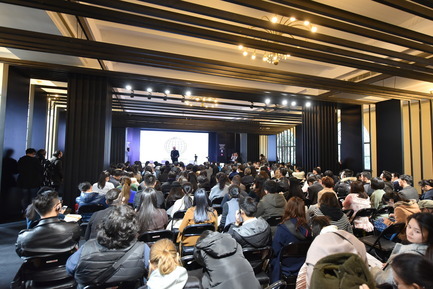 Design Shanghai Forum in association with KOHLER and AD China, curated by Aidan Walker, will continue to bring together highly influential architects, designers and creative minds from China and abroad. Speakers include Ole Bouman, Director at Design Society, Grant Horsfield and Delphine Yip, Founder / Chairman and Co-Chairman at Naked respectively, Paul Gregory from Dyson, alongside world-renowned designers such as Karim Rashid, DB Kim, André Fu, Benjamin Hubert, Bethan Laura Wood and Paul Cocksedge. Design Shanghai x KOHLER Design Forum is devoted to contemporary hotel designs, both east and west, featuring the most prominent hotel designers and architects including DB Kim, Andre Fu and Joyce Wang, together with Larry Yuen, Global President of Kohler K&B, who share the secrets of their art and craft, with the topic “Exquisite Experience: Hotel Design for True Wellbeing”. Once again AD China returned to Design Shanghai to present the Emerging Chinese Designers Award, the platform dedicated to Chinese talent. 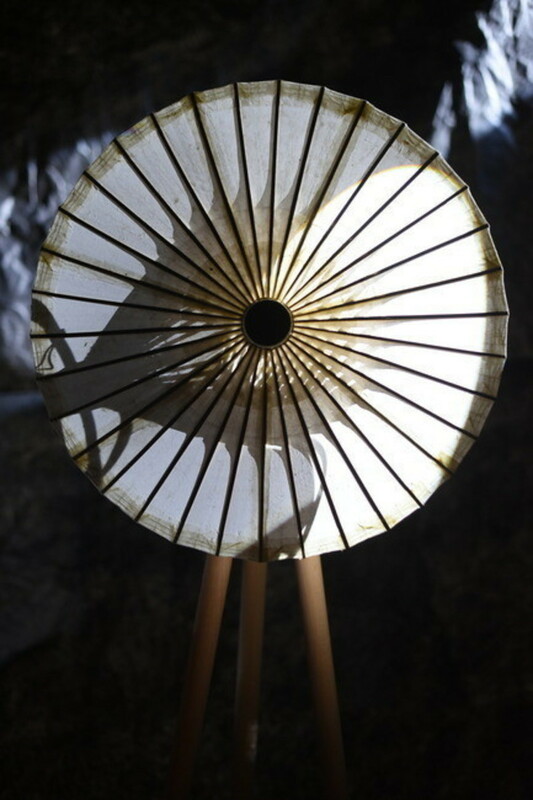 The winning designer will again be awarded a complementary space by Media 10 to showcase the piece at Design Shanghai 2018. A jury including international star Bethan Laura Wood, Virginie Moriette from MVW and Ross Urwin agreed Qingtong Qian deserved the 2017 prize. 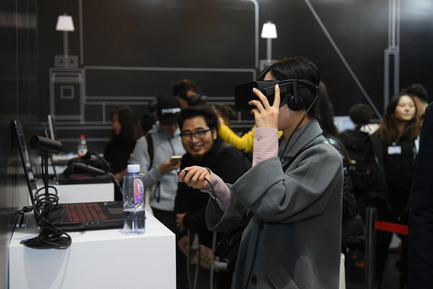 This year also marks the return of the IDEAT Future Awards at Design Shanghai, launched for the first time in 2016, which present excellence in international design to the Chinese public. “The increase in visitors and the enthusiasm already received from the media and the public are overwhelming. “We feel that the event has reached a new level of maturity, opening up the city and offering a unique platform for the international community to network, nurture collaborations and exchange ideas. The Design Shanghai closing party will take place at YANG Design Museum on 11th March. 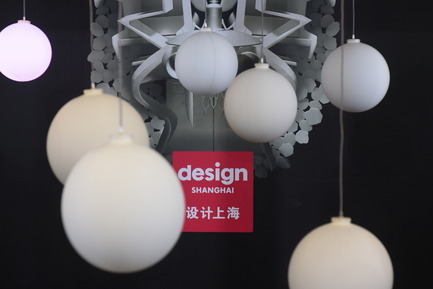 Design Shanghai is Asia’s leading international design event, breaking new ground and setting a precedent in Asia’s ever-growing design community. Showcasing the best design brands and galleries from across the globe, Design Shanghai provides a unique and exciting platform to network, exchange and establish long-term business relations with Asia’s top architects, interior designers, property developers, retailers, collectors and private buyers. 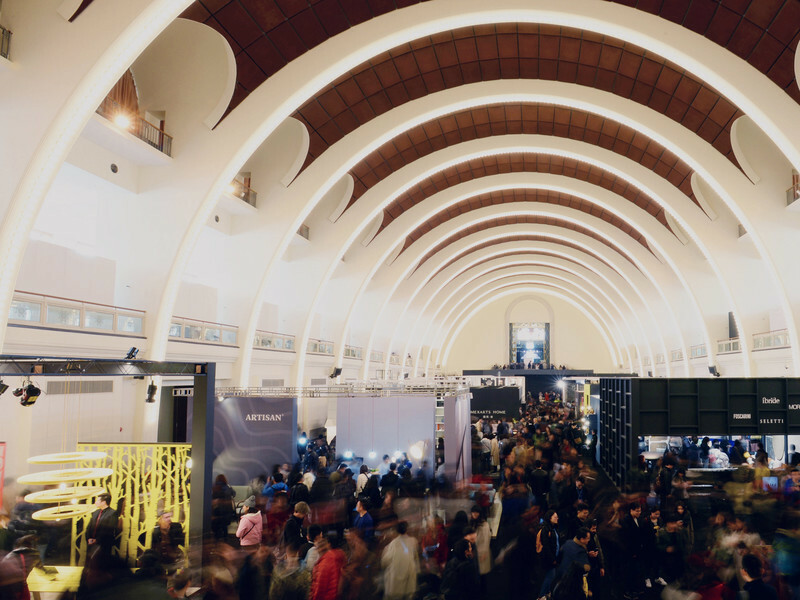 The 8th to the 11th of March 2017 will see the return of Asia’s premier design event at Shanghai Exhibition Centre, featuring even more of the finest international design companies and galleries than ever before. Media 10 Limited is the most decorated media and events company in the UK. Media 10 Ltd has fast become one of the leading players in the media and events industry as a result of running some of the most iconic and successful events in the country, including the world’s oldest consumer exhibition: The Ideal Home Show. Other events in Media 10’s portfolio include 100% Design, Design Shanghai, Luxury Made, 100% Optical, UK Construction Week, Britain and Ireland’s Next Top Model Live, Clerkenwell Design Week, The London Design Trail, Cake and Bake Show, Grand Designs Awards, Icon Awards, Destination Star Trek and The Coronation Festival at Buckingham Palace. Shanghai Xintiandi is a fashionable Shanghai landmark. Here you can discover the city's premier gathering place to relax and take in historical surroundings, while enjoying local culture. Here you can enjoy a journey through the heart of Shanghai’s best-preserved Shikumen - the city’s distinctive traditional residential architecture. Nowhere in Shanghai offers a great concentration of culture, lifestyle, dining and fashion. 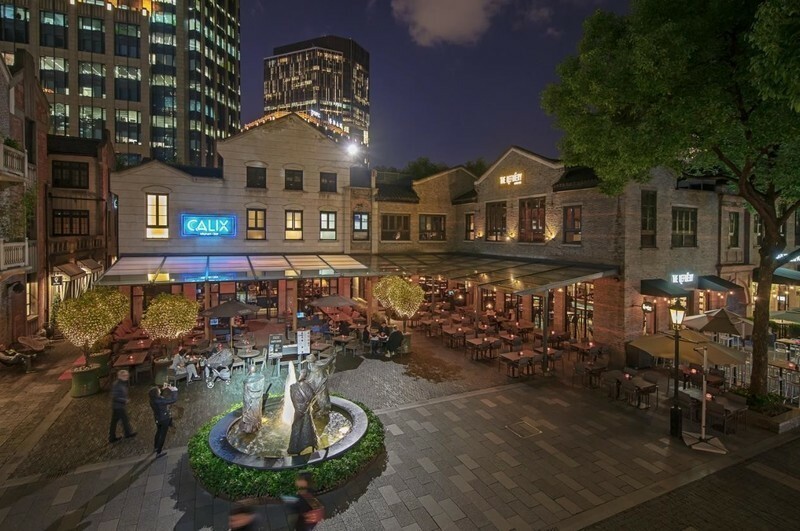 This collection of images gives an idea of all that's available in Xintiandi, and it is comprised of Xintiandi South&North block and the Xintiandi Style. Xintiandi South&North block bring together the traditional architecture of the Shikumen and modern dining, recreation and culture. 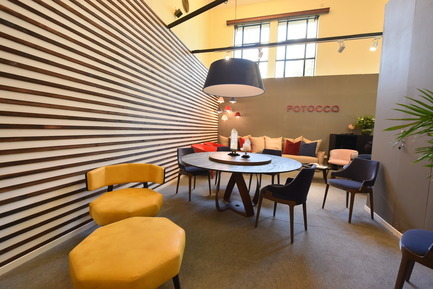 Xintiandi Style, with its innovative and cutting-edge designs from home and abroad, is a cradle for domestic designers and a bridge between domestic and foreign designers, developing Shanghai Xintiandi into a highlight of Shanghai. In addition, Shanghai Xintiandi have launched The House and HUBINDAO projects at the end of 2015, instilling energy into the Huaihai Road business district. DomusTiandi is about home and space. Their collection comprises of carefully selected high-end western home products, and amazing traditional eastern products. DomusTiandi aims to build a platform to mix traditional and contemporary design and bring western culture and eastern culture together. 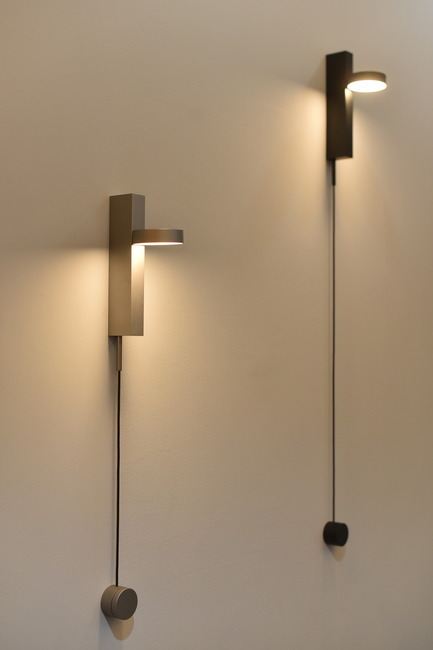 Through their products, DomusTiandi encourages customers to lead a high-end lifestyle. DomusTiandi is about home and life. We are always busy trying to set up a comfortable home. DomusTiandi will not only help you to set up a nice home but also express a peaceful and brave attitude to face everything in life. Founded in 1873, the Kohler Company is one of the largest family businesses in America. In 2002, its Asia Pacific headquarters was set up in Shanghai trading as Kohler China Ltd. For more than 140 years, Kohler Company has been committed to creating a higher level of gracious living for those who are touched by our products and services. Founded in 1811, the Perrier-Jouët champagne House is recognized for the distinctive elegance of its wines as well as its devotion to art and design. During Design Shanghai 2017, l’Eden by Perrier-Jouët will feature the brand’s latest cross-over limited edition with Japanese artist RItsue Mishima, as well as a series of curated events. YANG HOUSE, a lifestyle brand which presents unique humanistic thinking and high quality aesthetic value through design innovation experience, reflects the deconstruction of tradition and the construction of the present. Perrier is a fun, adventurous, and eccentrically witty iconic French brand. As a brand of extraordinaire communications, Perrier always believes ordinary in life should be challenged. During 2017 Design Shanghai, Perrier presents you “Perrier X The Nest Space”. Here, you can enjoy Perrier Sparkling Cocktails, like art pieces orchestrated by The Nest, the trendiest lounge in Shanghai, which you even cannot have in The Nest itself. The unparalleled natural and powerful sparkling bubbles right from the Perrier Spring, Vergèze, France bring you the extraordinaire experience that you never had before. Stella Artois 2017 ‘Buy A Lady A Drink' charity campaign joins hands with Canadian designer Cathy Wang, presenting limited edition chalices to help end the global water crisis by providing five-years of clean water access to women in Yunnan villages. Together, we can help empowered them to live a prosperous life, and be the generation remembered for ending the global water crisis once and for all.